Solo Bambini manufactures soft frames which fit a child’s individual face. The frames have no hinges or screws to lose or break. The frames cannot be bent out of shape or break when sat on, slept on, or otherwise mishandled by young eyeglass wearers. These frames will not shift as a child runs, jumps, or plays roughly. The frames are also anti-magnetic. Miraflex manufactures non-metallic eyeglass frames which reduce the likelihood of injury to the eye area. An adjustable band keeps the eyeglasses secure and centered, so the child’s vision is always clear. The bridge of the eyeglasses is designed to fit the anatomy of young children, who typically have flatter nasal bridges than adults. In addition, the flexible frames mold to the child’s individual face better than rigid frames. Superflex manufactures glasses that are “kid tough.” These eyeglasses do have hinges, so they are not quite as durable as the Solo Bambini or Miraflex models. These glasses offer a smaller wire-rim frame, however, and are a good option for children who need thinner eyeglass frames due to wearing hearing aids or cochlear implants. 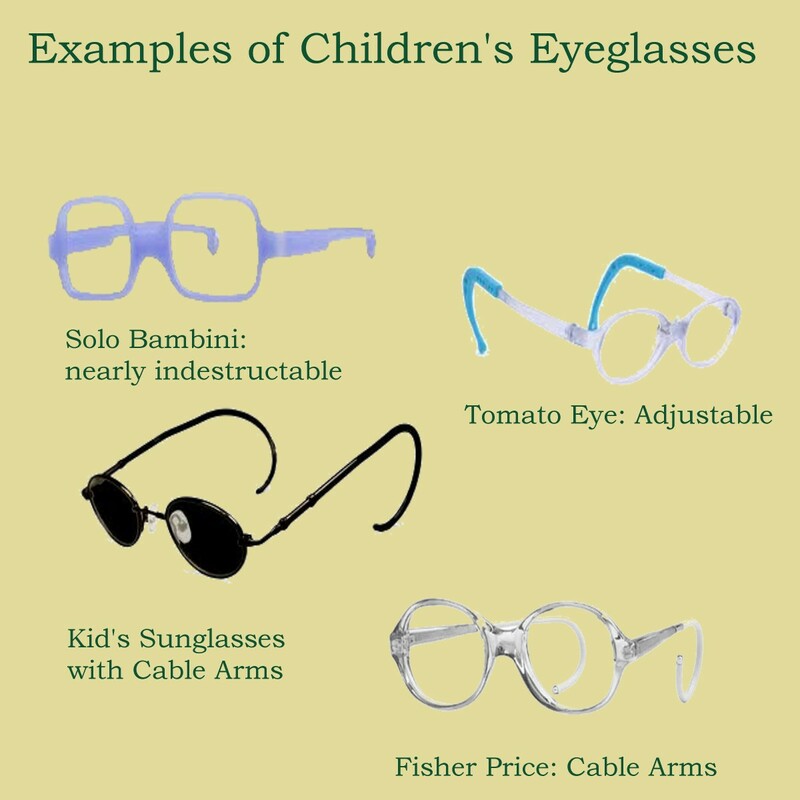 Tomatoeye, based in South Korea, manufactures durable and adjustable children's glasses. These glasses are only available online, and would make a great back-up pair of glasses for a child. The warranty is very important for kid’s eyeglasses. Most optical shops offer at least a 1 year warranty for repairs, replacement, or maintenance. Having a warranty is highly important, as children are likely to break or lose glasses several times throughout a single year. Pez eyeglasses offers a lifetime warranty for their eyeglasses: a valuable guarantee for parents of active kids! Polycarbonate lenses are a must for safety, and a scratch-proof coating is a good idea for durability. Plastic frames offer several cute designs and colors, including character glasses by companies such as Fisher Price or Disney. Wire rim frames are wonderful for children who want a more mature look, or who need thinner arms to accommodate hearing aids or cochlear implants. Cable arms have rounded earpieces to reduce discomfort. These arms also help to keep eyeglasses securely in place for young children. Cable arms can also be very helpful in children who wear hearing aids or other headgear, as they keep the glasses securely in place when other instruments are on the ears. Young babies toddlers may repeatedly pull off eyeglasses, and the simple solution is to calmly replace the glasses each time they are taken off. For this reason, glasses made of a flexible, durable material are recommended for infants and toddlers. Preschoolers and young elementary school aged children will adjust faster when the glasses are placed in a positive light. Purchasing stuffed animals which wear glasses (Build-a-Bear is one source for toy spectacles) and books about children in glasses will help foster a positive attitude toward eyeglasses. A company called Peeps Eyewear sells children's eyeglasses in a novel way. The glasses come packaged with a book and arrive as a present, complete with other dress-up accessories. The book is about Princess Annie, who gets to wear glassesCurrently, the company offers a line for little girls; a boy's line is coming soon. For those who lack vision insurance, obtaining affordable glasses is possible at locations like Walmart, Lenscrafters, or Costco. Backup pairs of glasses can be purchased online. Sometimes, discount retailers that have optical shops (like Walmart) offer a “two-for-one” deal – this is an excellent time to purchase an extra set of eyeglasses for children. Many medical insurance plans have a provision for eyeglasses – be sure to check your healthcare insurance policy to determine if glasses are covered under the plan. For those with vision insurance, funding the cost of glasses is an easier task – though it is important to be aware of the fact that many vision insurance policies will not cover items such as transition lenses or scratch-proof coatings. Ficklets are charms designed for children's eyeglasses, to help kids get excited about wearing their glasses. The charms come in a variety of designs, suitable for both boys and girls. SafeNSound manufactures eyeglass retention straps that can be customized with different bead colors. The strap can include the child's name, sports beads, or other unique designs. For children who dislike eyeglass straps, an innovative product called Wedgees stops eyeglasses from slipping down kid's noses. What Does My Child's Prescription Look Like? There are several vision simulators on the web, allowing you to see how your child views the world. Simply enter your child's prescription into the blank fields, and an eye chart or image will demonstrate how a person with that prescription would see an eye chart or other image. My favorite vision simulator is Eli Billauer's Blur Simulator. This allows a parent to visualize a child's prescription for nearsightedness and astigmatism. Be aware that this simulator is not capable of producing an image for extreme farsightedness. If your child's prescription is +8 in both eyes, for example, it will be beyond the range of this simulator. Vision Simulations shows several images with varying degrees of vision problems - ghosted vision, halos, and blurry vision simulations are included on this page. A child’s prescription changes a lot. Children have growing eyes, and are more likely to have changes in the eyeglass prescription over the course of a year. Glasses bought in the shop almost always come with a warranty, which will save money in the long run, as lenses have to be replaced due to prescription changes. Kid’s glasses break a lot. Children are not particularly gentle with their eyeglasses, and the frames are likely to bend, warp, or break. Many online sources for eyeglasses do not offer warranties, which will cost a family more money in the long run as glasses are continually replaced due to breakage. Purchasing the primary pair of eyeglasses in the doctor’s office usually offers a warranty, so glasses can be replaced for no cost for a specific time period. Children’s eyeglasses must be properly fitted. A child can’t communicate if the pupilary distance is off, the prescription isn’t quite right, or they are experiencing eyestrain. Getting precise measurements in the doctor’s office and test fitting a pair of eyeglasses in the office is the best bet for the child’s main eyeglasses. Kid’s glasses need a lot of adjustments and repairs. When glasses are purchased online, there is no shop to return to for nose pad replacements, bent frames, broken arms, or a poor fit. While many optical shops will adjust and repair glasses bought online, they will charge a fee for the service. Glasses bought in the store are generally repaired or adjusted for free during the warranty period. Once precise measurements have been taken in the doctor’s office, parents may choose to purchase a “backup pair” of glasses for the home. If the primary eyeglasses are broken or sent in for repairs, an inexpensive set of eyeglasses purchased online will fill the time gap until the primary glasses are returned. Prescription sunglasses can also be purchased online, and are much less expensive than purchasing a set in the store. As with regular prescription eyeglasses for children, precise measurements are needed. If the prescription sunglasses break, the need for a new pair is not as urgent as the need for the primary set of eyeglasses – buying online might save money for sunglasses that are only used on occasion. Online glasses have a lower initial cost. Of course, this must be balanced against a lack of warranty and the cost of repairs or maintenance to the child’s eyeglasses. Again, the primary pair of the child’s glasses should be ordered in a shop where an optician can properly fit and repair the child’s eyeglasses (as needed). Kid’s eyeglass frames have three measurement numbers. For example, the eyeglass measurement might be: 50-20-140. The first number is the distance across one lens of the eyeglasses, in mm. The second number is the distance between the lenses (the length of the bridge on the frame), also measured in mm. The third number is the length of the arm of the eyeglasses, which goes from the frame to behind the ear (measured in mm). The distance between a child’s pupils is the pupilary distance. This must be measured accurately to ensure the child is seeing clearly through the prescription lenses. Measuring pupilary distance in children with strabismus (squint, exotropia, or esotropia) is extremely difficult. This measurement should be obtained by an eyecare professional, and should not be measured by parents in the home. Children will generally not communicate when the glasses aren’t quite “right,” and will experience eyestrain if this distance is not measured perfectly. Most eye doctors (optometrists or ophthalmologists) will measure this distance for a child. The pupilary distance must be measured each time a child needs new glasses. Children grow very quickly, and the pupilary distance changes as a child grows. 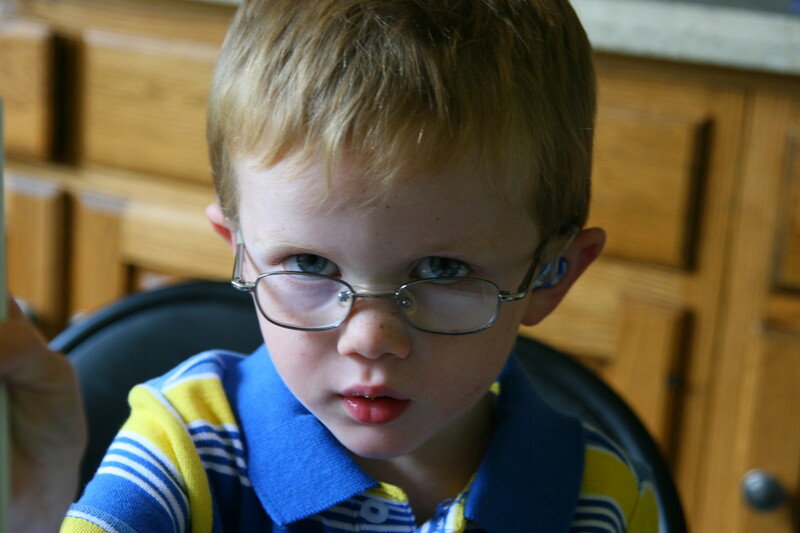 Specs4Us manufactures glasses to fit children with Down syndrome or other special needs. “Typical” glasses will often slip down the face of children with Down syndrome, but the Specs4Us glasses are manufactured with shorter arms, closer-set lenses, and are made for slightly wider faces. Hearing Aids and glasses: children who wear hearing aids or cochlear implants will need glasses with thinner rims, so that the arms of the glasses can fit comfortably alongside the hearing instruments. It is important to ensure the eyeglass frames will not dislodge a child's earmolds, as this can increase feedback and interfere with the hearing aid's ability to amplify and deliver quality sound. As children get older, they may opt for contact lenses instead of glasses. There are retention straps available to clip hearing aids and glasses to a child’s shirt, preventing the loss of both devices. 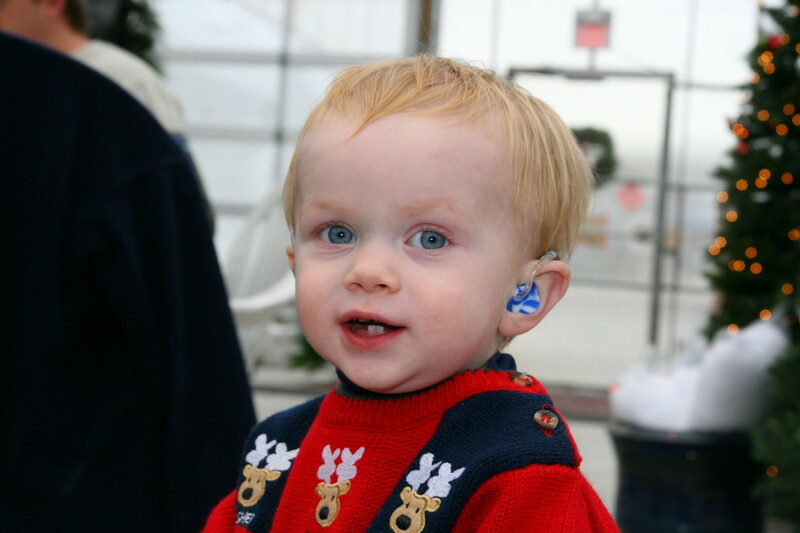 SafeNSound manufactures a combination hearing aid/eyeglass clip for children. Kids with amblyopia will often undergo patching while wearing eyeglasses. Some children will wear adhesive patches that adhere directly to the skin around the eye, and others will wear patches that fit over one lens of the glasses. Several cute patches are available to make the patching process more fun. Why Does Your Child Wear Glasses? More than one of the above! A website explaining the difference between adult glasses and children's glasses. A family's tale of dealing with their son's strabismus. 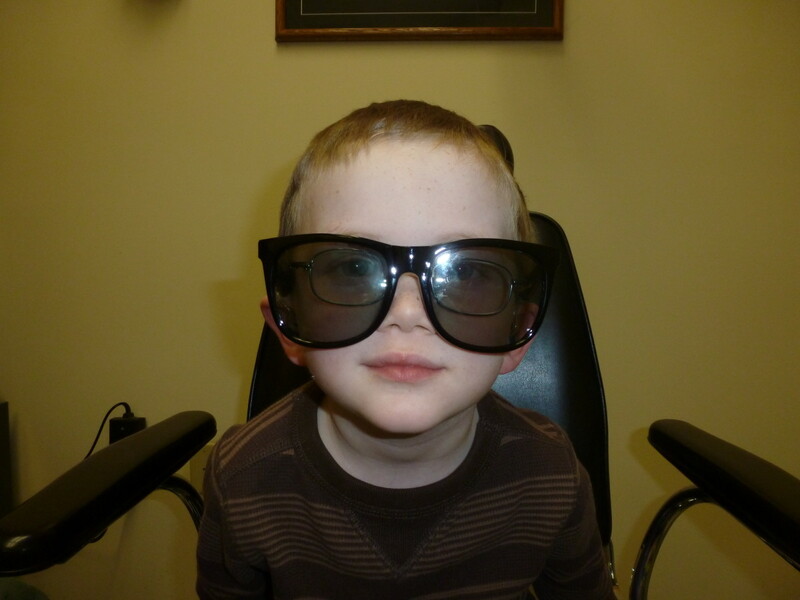 A little boy's journey with congenital glaucoma. A lighthearted blog about a family's journey with their daughter's congenital cataracts. This website is a great resource for information on many different pediatric eye disorders, glasses for kids, and personal accounts of various vision difficulties in children. A comprehensive website regarding Amblyopia in children. We have gone through so many pairs of glasses with Nolan, Penny! Getting a good fit is important. I know a lot of parents love Miraflex and Kid's Bright Eyes glasses! Great information, I wish I could have had this years ago when my children were growing up. I could have used this advice. It will help a lot of parents I am sure. Thanks for that link, ps3gamefan. My child has amblyopia and his glasses have helped him for a long time, but we may have to start patching this summer. 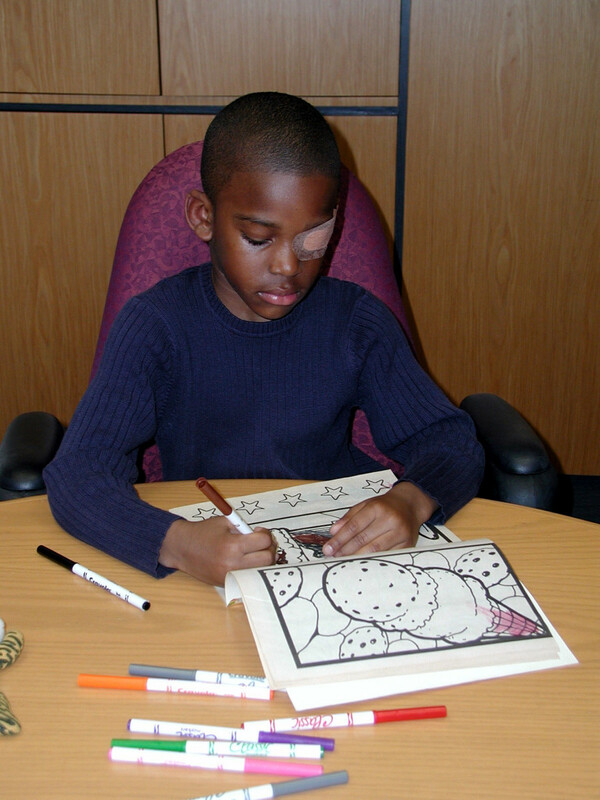 One more great website is?http://www.glasseshop.com/ for children with vision problems. They have a DVD tat helped my son to put on his eye patch. If you have trouble affording eyeglasses, you could always try to get help from a local Lion's Club (if you are in the United States). There are online sources (like Global Eyeglasses) that offer eyeglasses frames and lenses for about $8. With shipping, the total cost comes out to approximately $13. Thanks, Richard! We have ordered eyeglasses for our son online, and I wrote about what we had discovered once we finally got a pair of glasses he liked. Great hub and very useful. Parents with children who suffered eye defects must read this. It is very important to have the appropriate glasses for kids. My own son has amblyopia in his right eye, but his glasses have managed to correct most of the condition: he went from being legally blind (with correction) to almost normal vision in that eye. Kids that suffer from poor eye sight should have the perfect and the most applicable glass for them. This hub is perfect for the parents who want to pick a glass for their child. 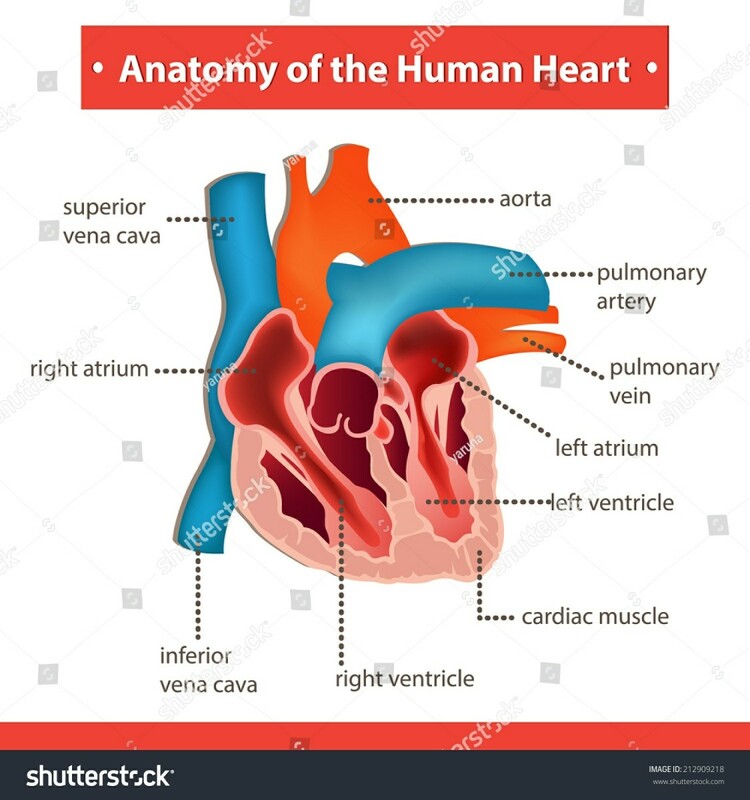 Thanks for reading - I hope it helps! Our little guy has a really cute pair of Diego glasses from Walmart - fortunately they've been fairly sturdy and have withstood the activity of a four year old child! Thanks for sharing, I enjoyed to read this hub. That is great! Thanks for the link, Cindy - there are a lot of great resources out there! One more great website is http://www.bjortandcompany.com for children with vision problems. They have a DVD tat helped my son to put on his eye patch. Our little guy wears glasses, too. He's rather cute in them! We did buy a "backup" pair from global eyeglasses (they only cost $12, including shipping). The online glasses aren't as nice as his name-brand glasses from the optician, but they're nice to have in the event of needed repairs! 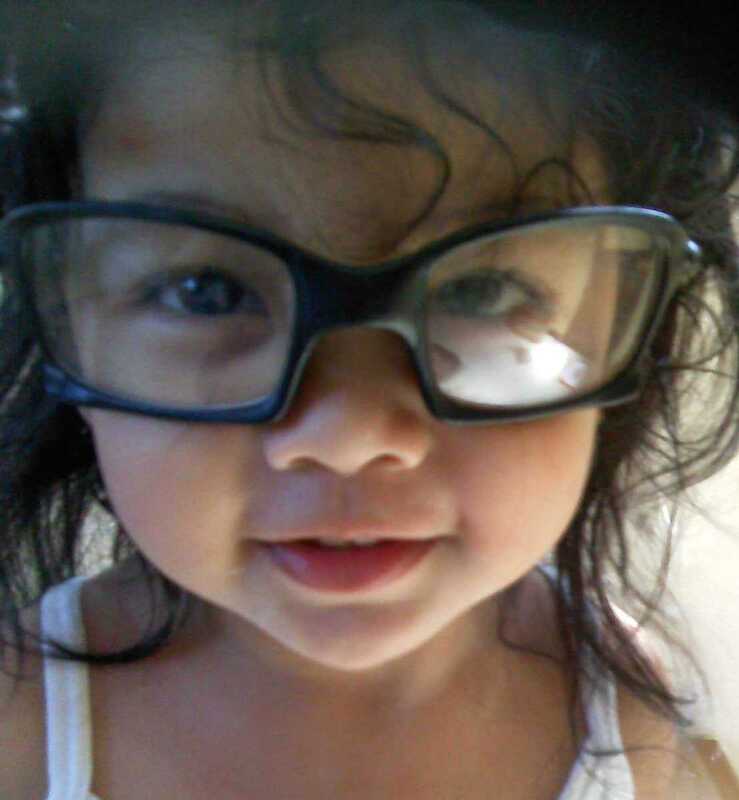 My grandson wears glasses. This hub has been very informative and helpful. Thanks. Our son is going in to the pediatric ophthalmologist tomorrow - he has a difference of about 4 diopters between his eyes, according to his preschool vision screening program. I have a feeling we'll be picking up glasses (and possibly patching), too! Thanks! I've been doing research for our son (who is farsighted in one eye, nearsighted with astigmatism in the other), so I had to write down what I had learned! Ooooooooohmygosh... this is a fantastic guide- and not just for purchasing eyeglasses for kids! Heck, if *I* ever need glasses, I'm checking with this Hub before I shop!